Another weekend has almost passed and I’ve been on the run trying to get things done again. “Pace yourself”, they say. Yes. I am pacing myself at learning to pace myself. There’s just so much to do! There’s never a dull moment in the country I tell you. Every day I am thankful for the beauty that surrounds me: the green grass, the glorious sunrises and sunsets and the brighter stars in the deep night sky. The chickens enjoying their green stuff. The apple tree sits in the middle of their coop. Anyway, today I remembered to take a few photos of parts of my place as it is at the moment. I’ve barely touched the garden yet, other than beginning to prune the fruit trees, so there is a lot of work ahead of me. But it’s ok, I’m going to pace myself. Right…? Looking out on the backyard from the outdoor table. 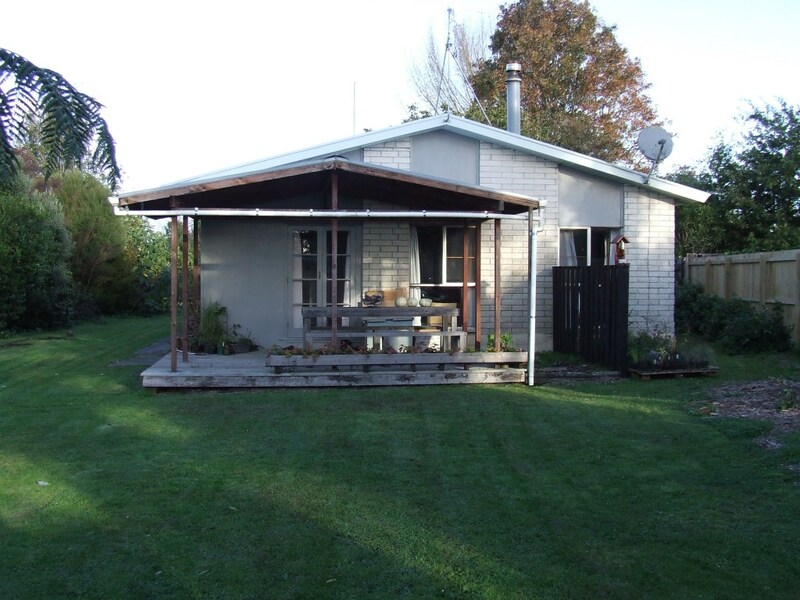 The Husband has mowed the lawn, which always makes things look more tidy… The structure at the back is a fort. Every house should come with a fort. 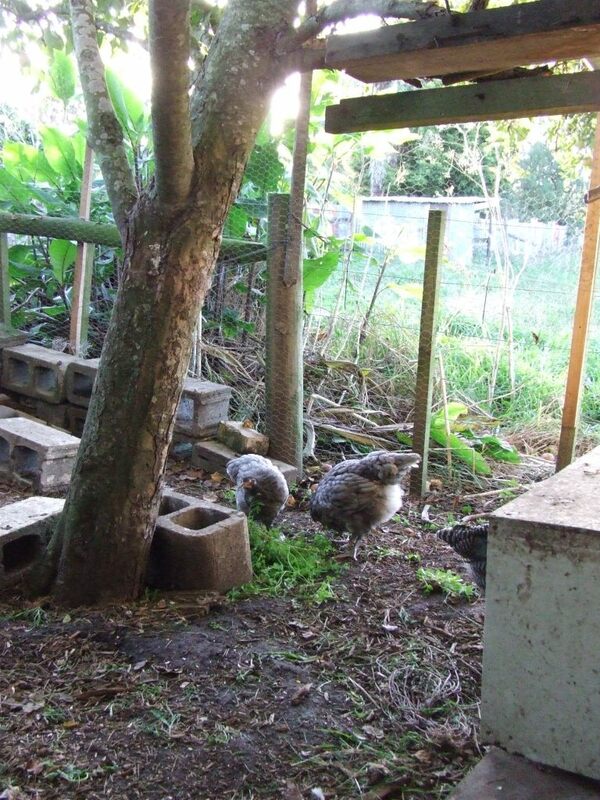 The chicken coops is behind that fence and there are two loquat trees at the left of the photo. 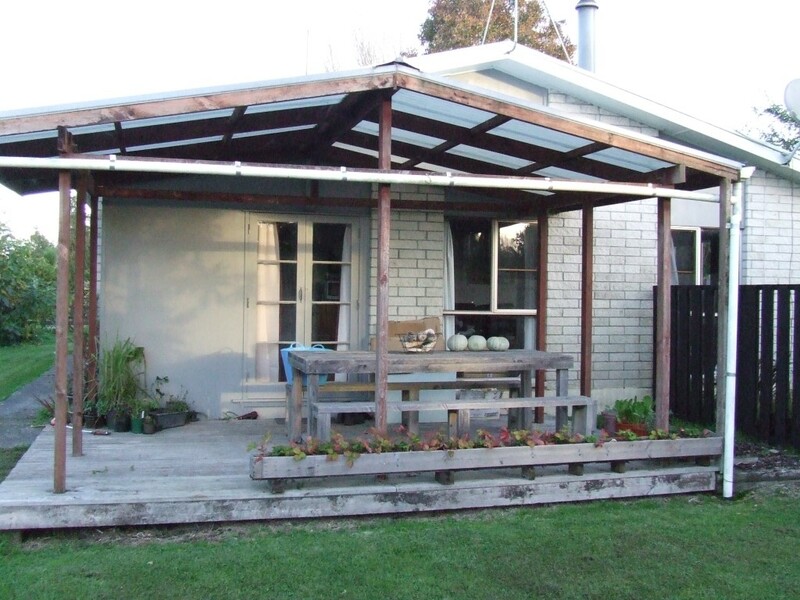 On this side of the deck is my potting shed (yuss!) and the triangle garden, which I’m planning to turn into a herb garden dotted with a few dwarf fruit trees. All my potted fruit trees have been hauled over here for now until I decide what to do with each one. Looking into the vege garden area. So much work to do… I’m planning to re-do all the raised beds into two long, narrower beds to maximise the space. The fruit tree orchard beyond the vege garden. I need to finish my pruning and deal with all the weeds. If I can arrange a portable fencing solution, the chickens can help out with the weeds.